Color theory has long posited that certain colors work together in complementary ways and that colors themselves can have an impact on their viewers. Colors have held symbolic functions in everything from Buddhist spiritual art, to modern psychoanalysis, to graphic design theory. 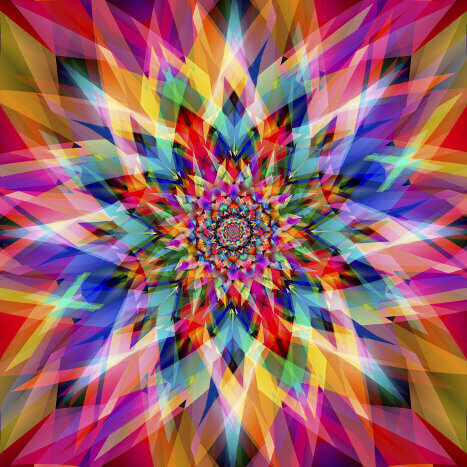 When used in mandalas, the color choices that creators use often infuse the piece with even greater symbolism and meaning. Buddhist tradition incorporates a lot of visual imagery in its practices, including the mandala. Color is of particular importance in Buddhist art, as the concept of enlightenment is often represented by “pure light,” or the encapsulation of all the colors of the rainbow. In Tantric Buddhism, there are five certain colors of importance that stem from Tantric religious texts and a sixth – black – which encompasses everything and nothing. The five main colors excluding black represent the five personifications of the Buddha. Each of these representations of the Buddha’s aspects is displayed in the respective color they symbolize. That being said, other colors like green and gold are often found throughout Buddhist imagery like the Tibetan mandala. Green often symbolizes nature and the balance between man and the earth while gold is representative of the sun and fire. In the 20th century, early psychoanalyst Carl Jung pioneered the use of mandalas in therapy, as expressions of the patient’s unconscious. He would analyze patient output based on different factors, including the use of color. In many ways, Jung was influenced by Eastern philosophy, so it is no surprise that many of these color associations are similar to their Buddhist predecessors. Red would symbolize passions from anger to lust, yellow indicated the mind and intellect, and purple a creative and sometimes narcissistic tendency, to name a few. Now that mandalas can be found in adult coloring pages nearly everywhere, just about anyone can access the ancient healing and meditative powers of this art form. How you use colors can impact both the way you feel about the artwork and your mood when making it. Colors can be great symbols for infusing visual imagery with greater meaning, whether it is a DIY home project or a tattoo design. 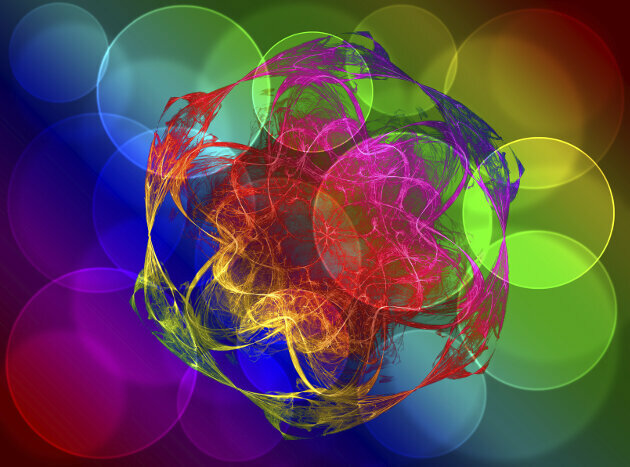 While modern color theories are often based around some of the early symbolic meanings of colors, in contemporary times people have developed cultural associations with certain colors. For example, blue can be related to feeling sad, and green can be related to feeling envy. Red, black, and white on the other hand have retained meanings more similar to their early uses. Red is often symbolic of anger (although also love,) black is still associated with death, and white continues to represent elements of purity and innocence. How colors are used with each other also impacts the mood they can have for the creator. For example, color theory – represented best by the traditional color wheel – shows which colors are complementary and which aren’t. When you use colors that are complementary, the entire effect is one that is pleasing and concordant. When you don’t use complementary colors, the effect may be more discordant although there are plenty of opportunities to use them for creative effects.